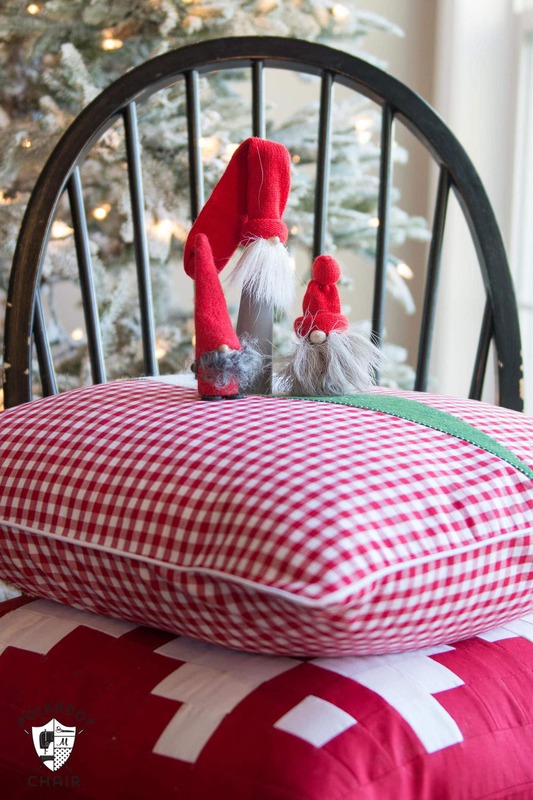 Today I’m excited to share with you a project inspired by my recent trip to Norway, this Tomte Christmas Gnome Pillow! 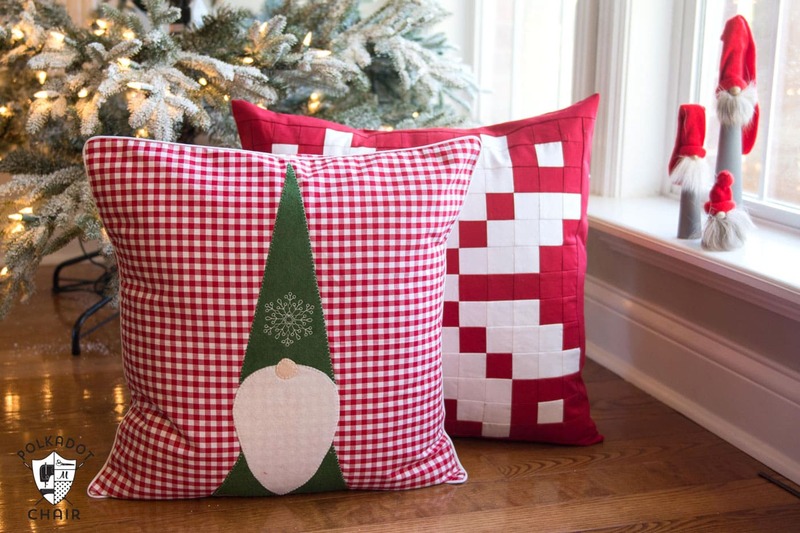 If you like this project then you may also enjoy this patchwork Christmas pillow sewing pattern. 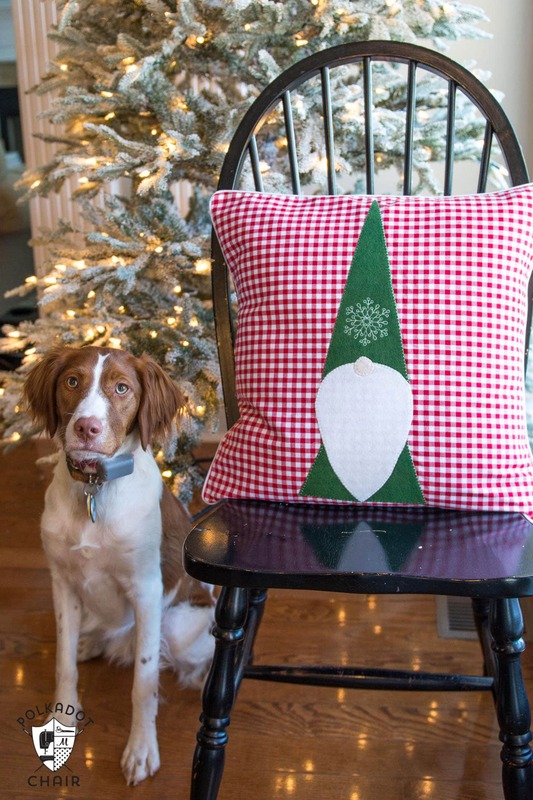 If you prefer a printable version, you can now purchase a printable version of this pattern along with 2 other of our most popular Christmas Pillow Sewing Patterns in our shop! 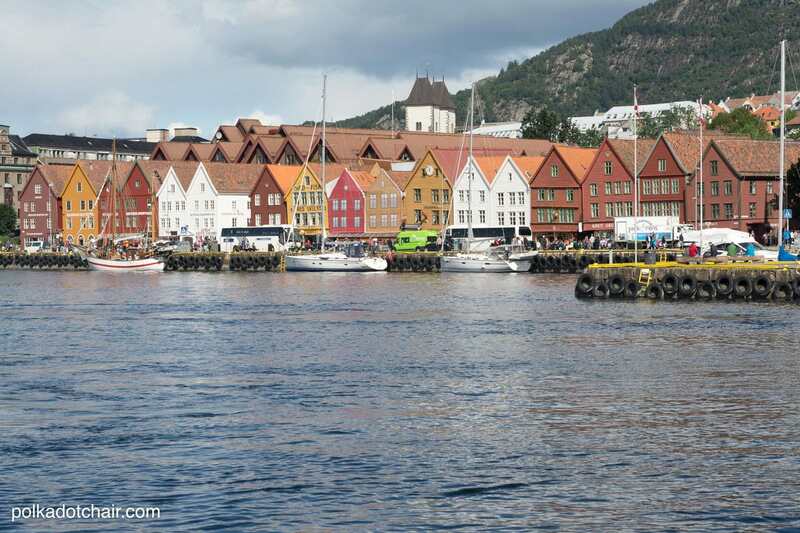 Last summer while we were in Norway, we spent one day in Bergen (if you’d like to read a bit more about our experiences in Norway you can CLICK HERE, the Bergen installment is HERE). 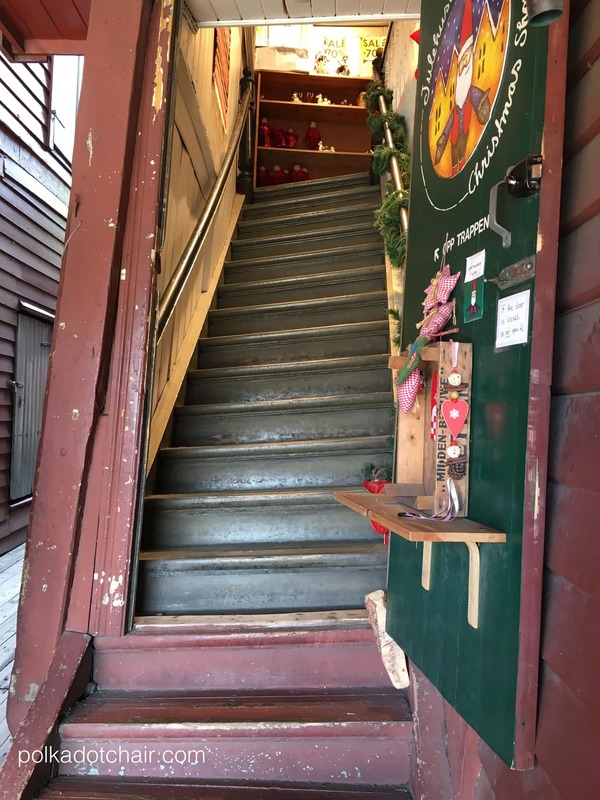 While in Bergen we stumbled onto the cutest little Christmas shop that was housed in one of the historic buildings that make up the Bryggen wharf area. 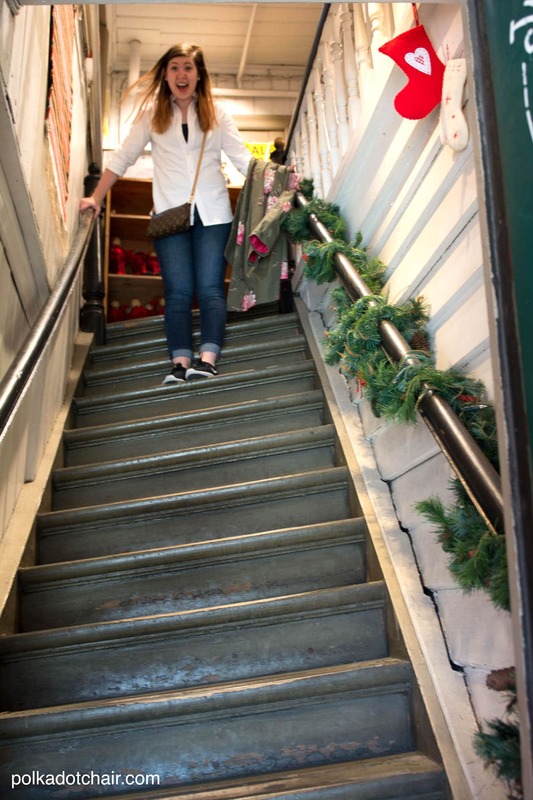 Not only was the store ADORABLE, it had the craziest, crookedest staircase that I have ever climbed in my life! We all got a little bit disoriented on our way up. 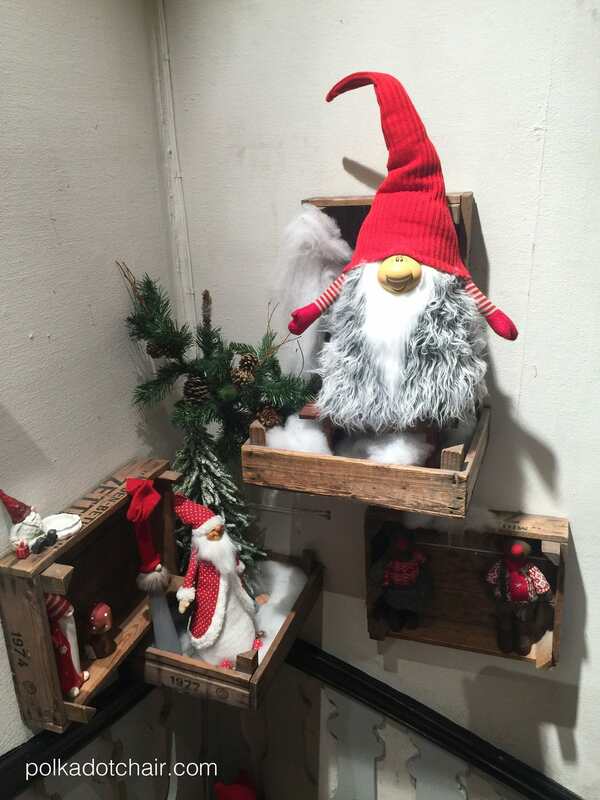 Inside the store, there were a gazillion, completely adorable Christmas gnomes, or Tomte as they are called in Norway (on a side note, I’ve seen them called both tomte, and tomten, I’m guessing tomten is plural, but if anyone knows for sure, let me know). As usual, when I’m shopping and surrounded by a plethora of CUTE, I get overwhelmed and can’t decide what to buy. After spending way too much time wandering the store, I picked up a set of wood tomte to add to our Christmas decor at home. Now that I’m home, and it’s Christmas-time, I’ve been thinking a lot about those adorable Tomten and my trip to Norway. I have a million ideas swirling through my head and decided that I’d start working through them by creating a pillow inspired by the tomten and my trip to Bergen. I’ve written up a pattern for the pillow if you’d like to make one here are the instructions and a few more photos of the pillow! 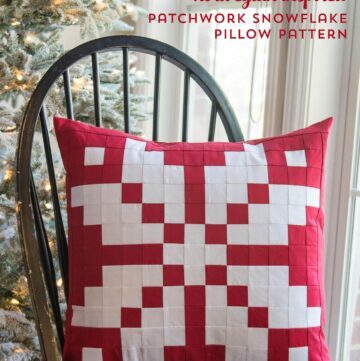 (also, the snowflake pillow in the photos is a pattern that I’ve created for BERNINA, you can find more information about it here). If you have an embroidery machine, embroider a snowflake (or another nordic inspired image) onto a piece of uncut green felt. 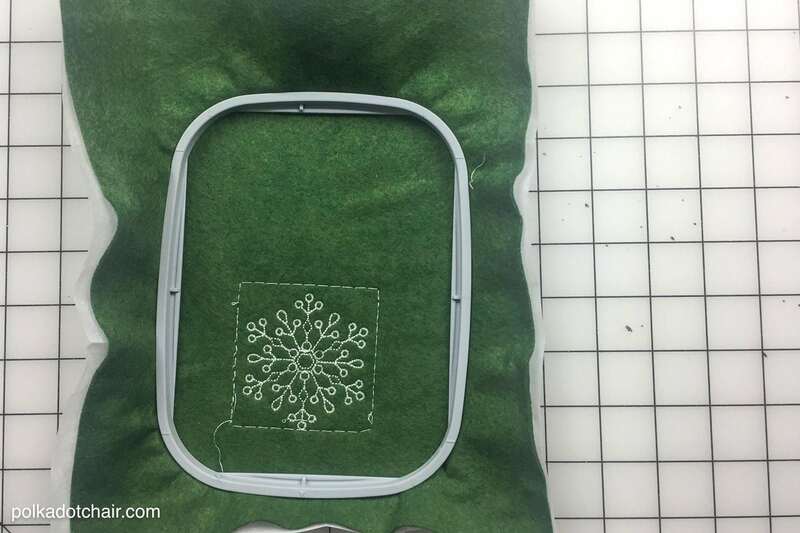 Before you embroider, make sure your felt piece is large enough to cut out the hat from the template. 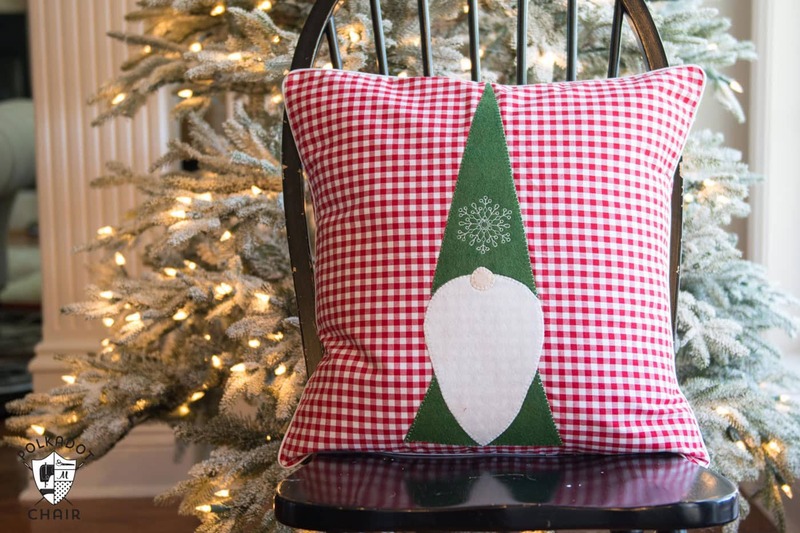 If you do not have an embroidery machine, just leave off the snowflake applique (it will still be cute I promise). You can also hand cut a snowflake out of felt and applique it to the hat if you like. I have a BERNINA 770QE sewing machine. The snowflake I used is one that came with the machine, reduced in size by 50%. I used rayon embroidery thread on the design. 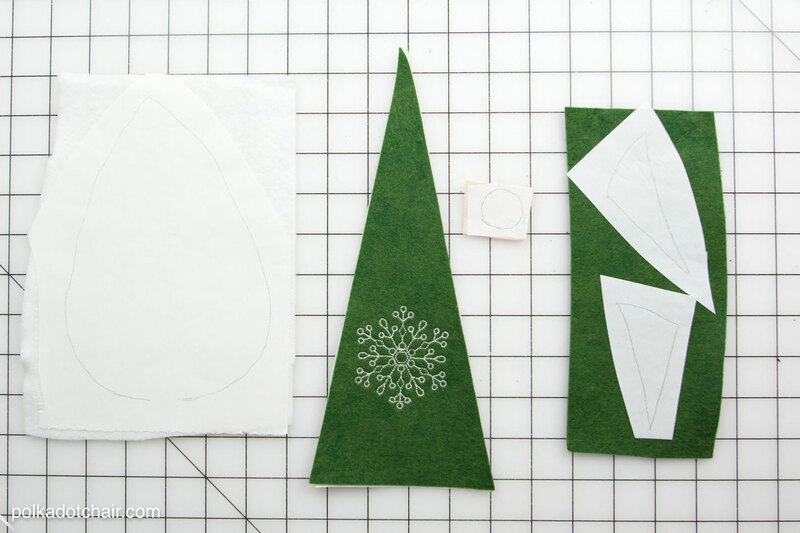 After you have embroidered your snowflake, cut out your hat piece using the enclosed template. Make sure the snowflake is at the bottom of the hat. Cut out a piece of Heat n Bond lite the same size as your cut hat piece. Iron to the wrong side of the hat piece. Trace the remaining applique pattern pieces onto the paper side of the heat n bond lite. Cut out loosely. Iron onto the wrong side of the felt. Cut out more precisely. 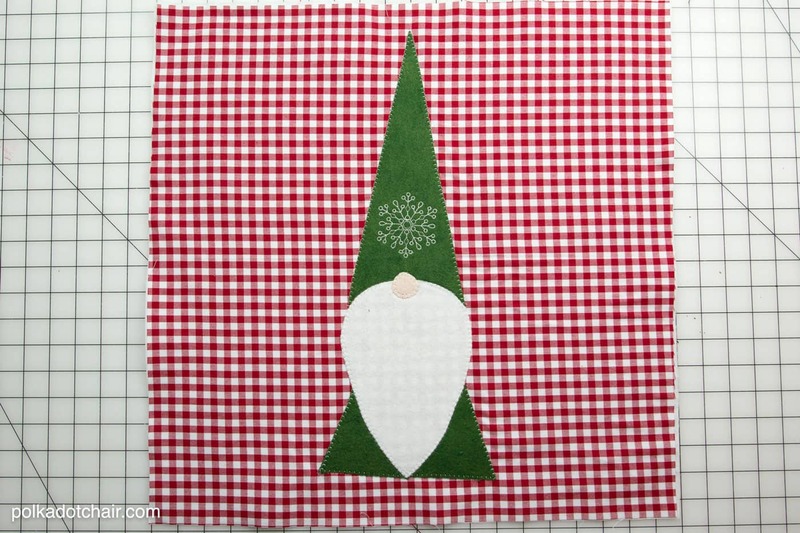 Arrange the pieces so that they make the tomte on the front of the 20″ x 20″ pillow piece. 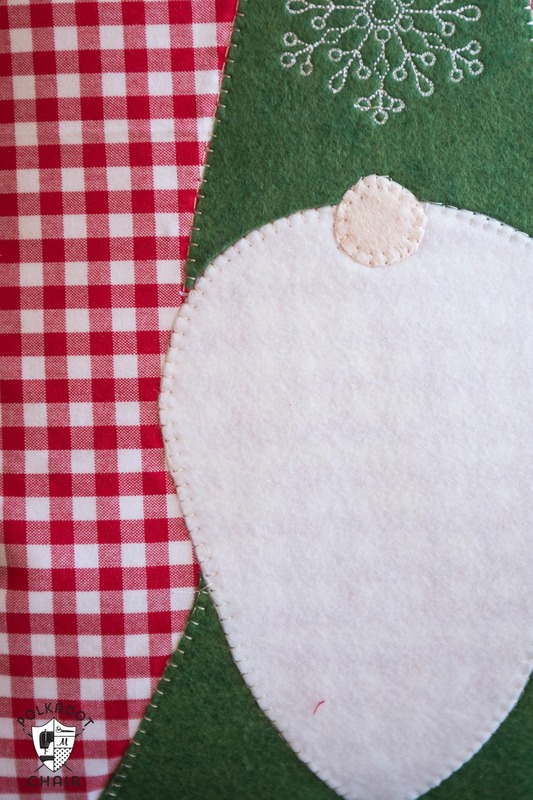 You may need to overlap a few pieces of felt, or trim others to reduce bulk. When you get the felt pieces in the correct spots, remove the paper backing and using a pressing cloth, iron onto the top of the pillow. With the embroidery thread still in your machine, stitch a simple applique stitch around the edge of all of the felt pieces. 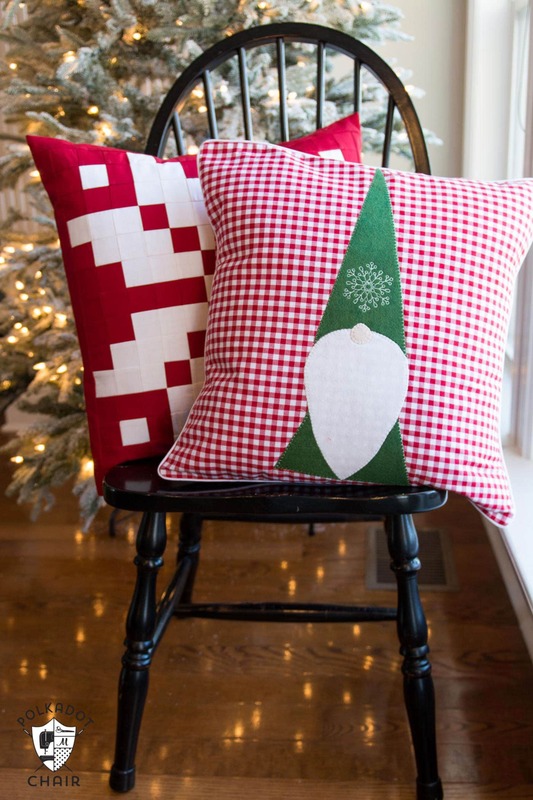 Using your piping foot, stitch the piping to the front of the pillow piece. 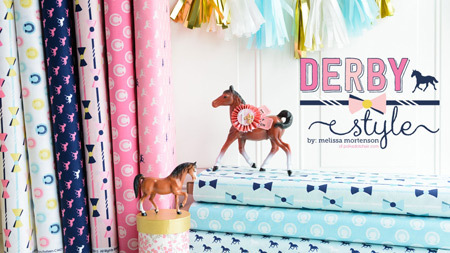 If you need help attaching piping CLICK here for a tutorial. Pin the pillow back piece to the pillow front piece, right sides facing. Stitch together along the stitching line you used to attach the piping. Leave a 10″ opening in one side of the pillow. Turn right side out, slip pillow form in and slip stitch opening closed. Where is the pattern link? Every time I click on what looks like a link, it takes me back to the blog post. Am I missing something? 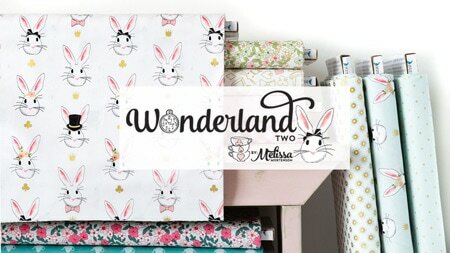 I have searched and searched the printables and templates for the Gnome template and cannot find it. I am an email subcriber/ Am I missing something? Help. So cute. 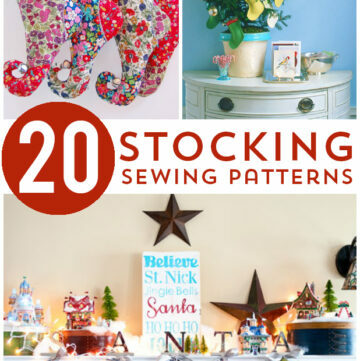 I cannot find the pattern either. The link takes me to a pattern page, but not anything with the new gnome pattern on it. I set the post to upload and publish before I left for Thanksgiving, the post published normally but the template page did not update. I am home now and the template file has been fixed. 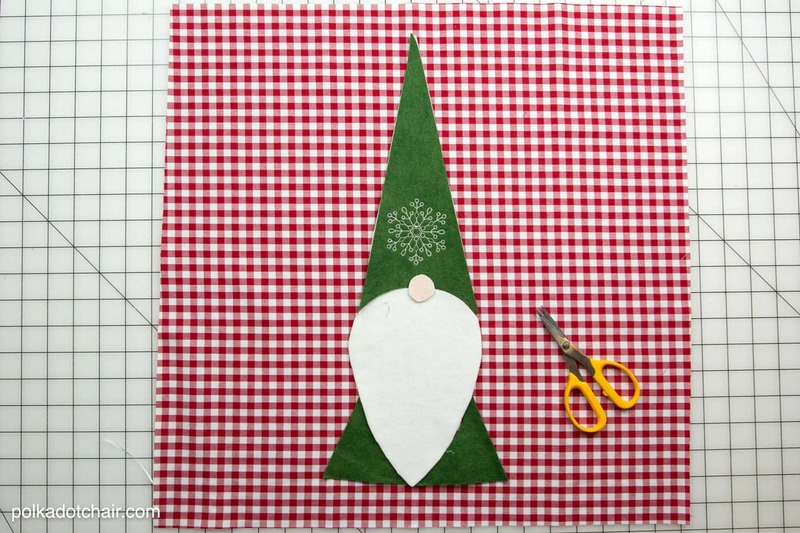 When you click on the link for sewing templates as well as printables there isn’t any template for the Gnome pillow. I tried for over and hour. Can you help? It doesn’t look like it was posted. Thank you. 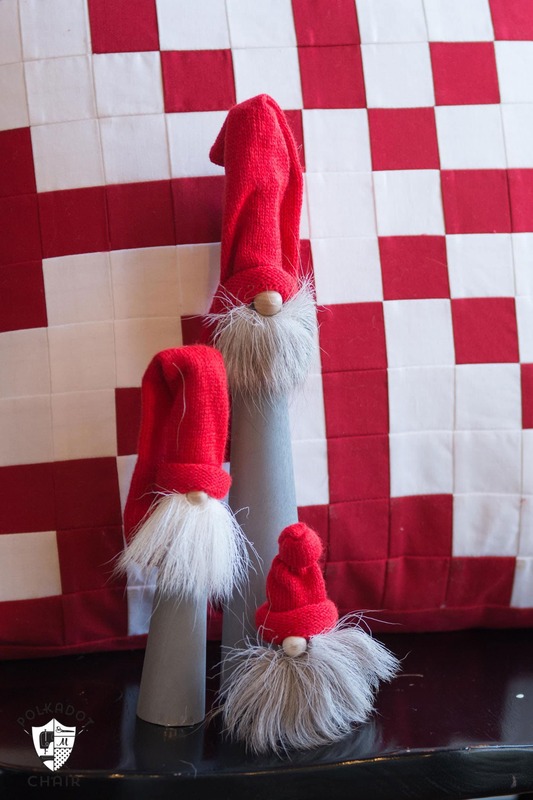 Help, Help, I cannot find the link, either and I really want to make the tomte! Why is this so complicated? Advertised for a free pattern and it is impossible to find. This is fraud! The pillow is beautiful! 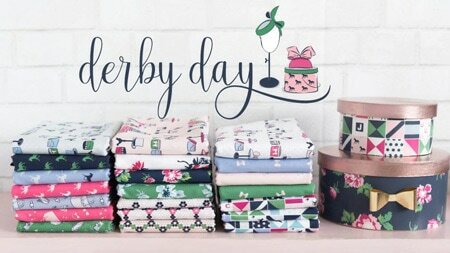 If I could find the right fabric I would love to make a few for my living room. To answer your query about tomte and tomten: tomten is the gnome and tomte is just gnome. The plural (in swedish) is tomtarna, don’t know exactly what it is in norwegian, but I’m guessing it’s something similar to tomtarna. Love this so much. We visited Bergen a few years ago and went to that same Christmas shop and bought one of these little gnomes. Now I need to make this pillow!!! These are incredibly sweet! I’m going to use them to decorate my gifts, too, along with your “leaves” idea! Brilliant, as usual! Thank you so much for the directions to make them. I can’t find the directions for the Tomton pillow either. Please tell me how to get it. This is the pattern on this page. 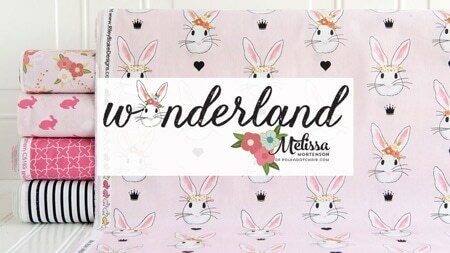 What a cute idea for a pillow wrap. Since the pattern appears long and narrow, I think it will work. I will print the pattern to see, and make it when I finish my Christmas “requests” from the grandkids lol. Tried to download the patterns for all of the patterns you offered and not a single one would download. 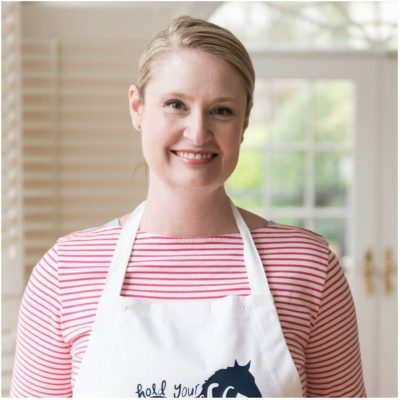 I loved them all and would love to make all of them. There’s even time before Christmas! Please help. 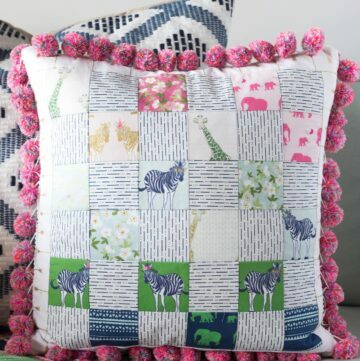 Thank you for the beautiful pillow pattern! 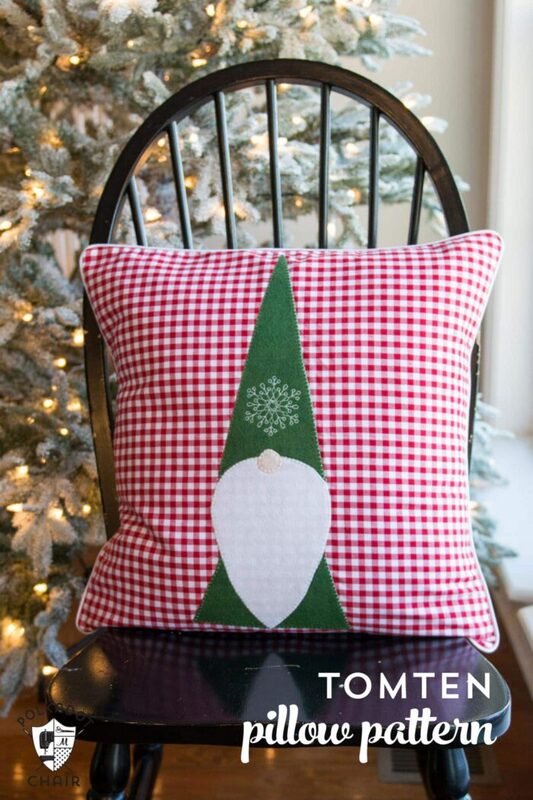 Just finished the Tomte quilt by RebeccaMae Designs and this pillow is the perfect compliment! Merry Christmas! I just saw this gnome pillow in email. It is so cute. I may get crazy and add some tufting on the beard, as that is so enjoy vouge just now. Thanks again.